It was a roller coaster week for US equities, with the sp'500 seeing a Monday morning low of 1993, soaring to a post-FOMC high of 2076, but then rapidly cooling to a Friday close of 2005, making for a net weekly loss of -6pts (0.3%). 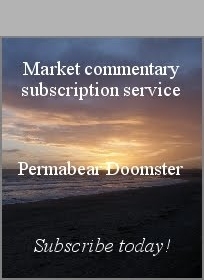 Near term outlook is very borderline, but seasonally inclined to the upside. 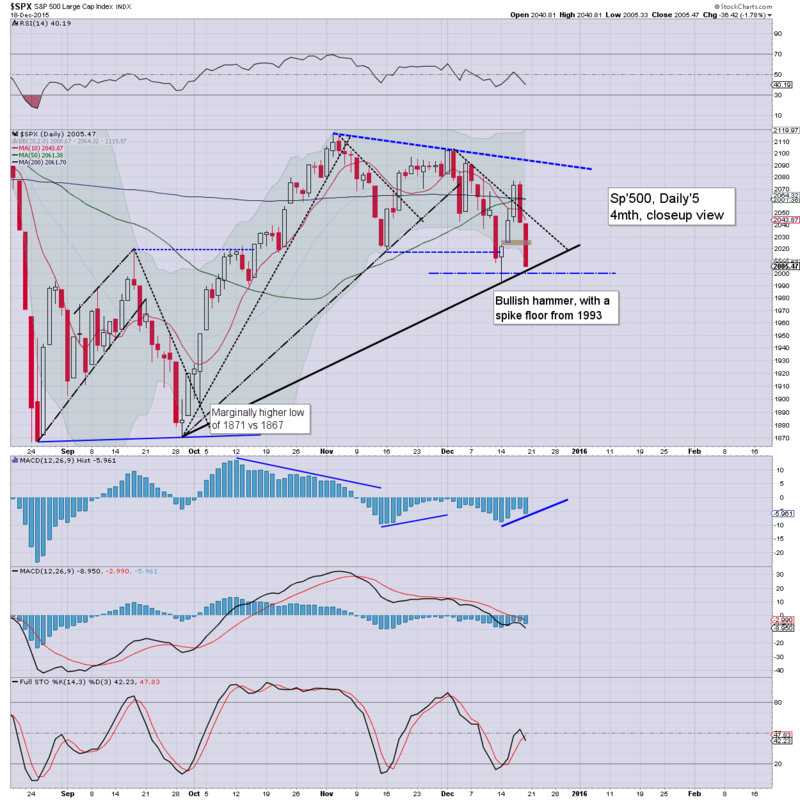 The sp'500 sure saw some dynamic swings this week, with a range of 1993/2076 (4.1%). Underlying MACD (blue bar histogram) cycle ticked lower for a second week, and is set to turn negative at next Monday's open. Price structure could be argued is a large bull flag, and I recognise some might label it a wave'2, B, or Y. Regardless of the past week though, any sustained action <sp'2K would be extremely suggestive of continued downside to at least the next gap zone of 1950. 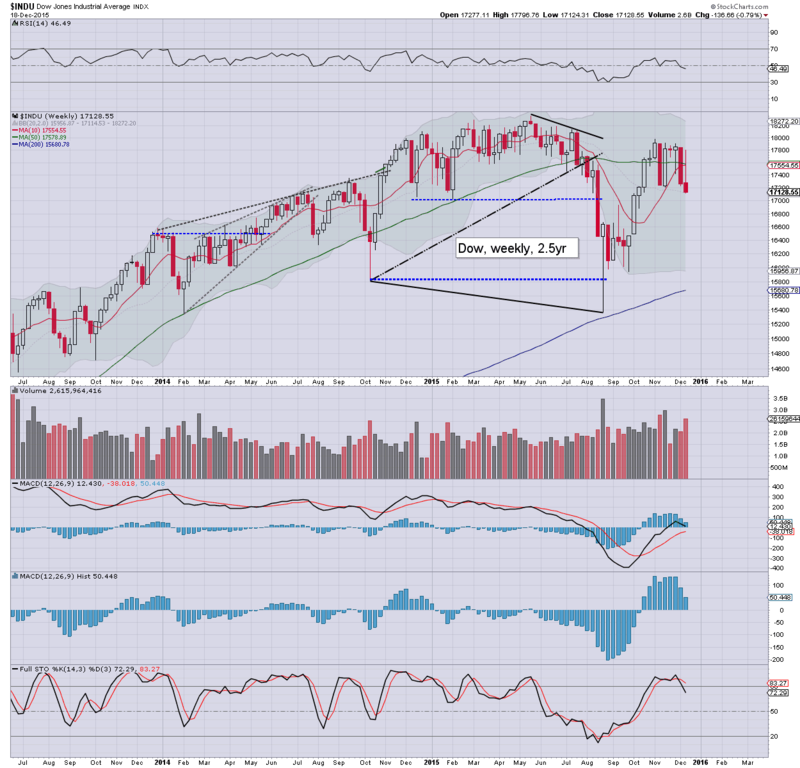 Equity bulls should be desperate to break above resistance of 2075/80, and target the 2115/20 zone in January. However, based on the bigger weekly/monthly cycles, even the 2100s won't be enough to negate the underlying price weakness. I strongly hold to the notion that unless the sp'500 breaks a new historic high by end January, any such failure would bode for an epic equity cascade across (at least) the first half of 2016. 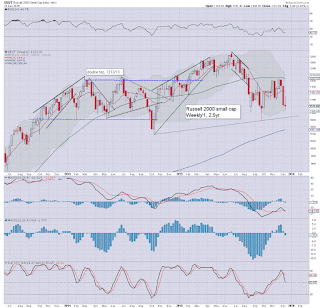 Special note: the more conservative equity bears should be waiting for a monthly close under the monthly 10MA. 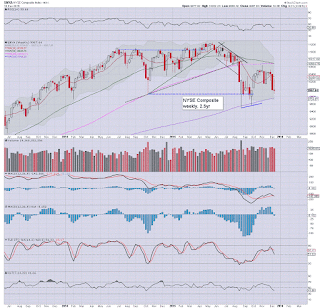 Any Jan/Feb' close <sp' 2K would give (in my view) absolute clarity that a train wreck has begun. 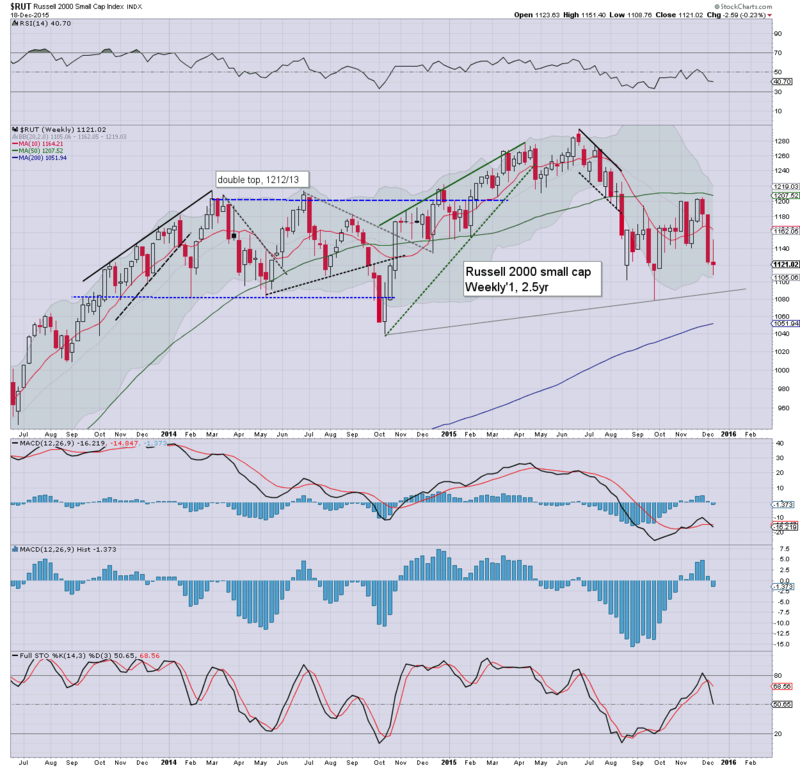 First soft target would be the Aug' low of 1867, and then the double top of 2000/2007... in the sp'1600/1550 zone. Were the market to see such a powerful multi-month decline, it has to be acknowledged that the Fed would be highly inclined to launch QE4. Whether that could halt a crash wave... difficult to say, but it'd at least slow it down. 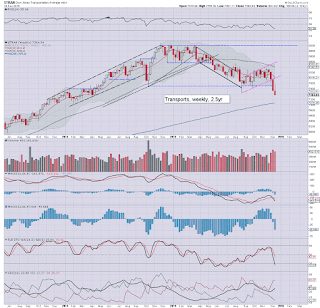 The tech saw a minor net weekly loss of -0.2%, having broken above 5K, but unable to hold it. 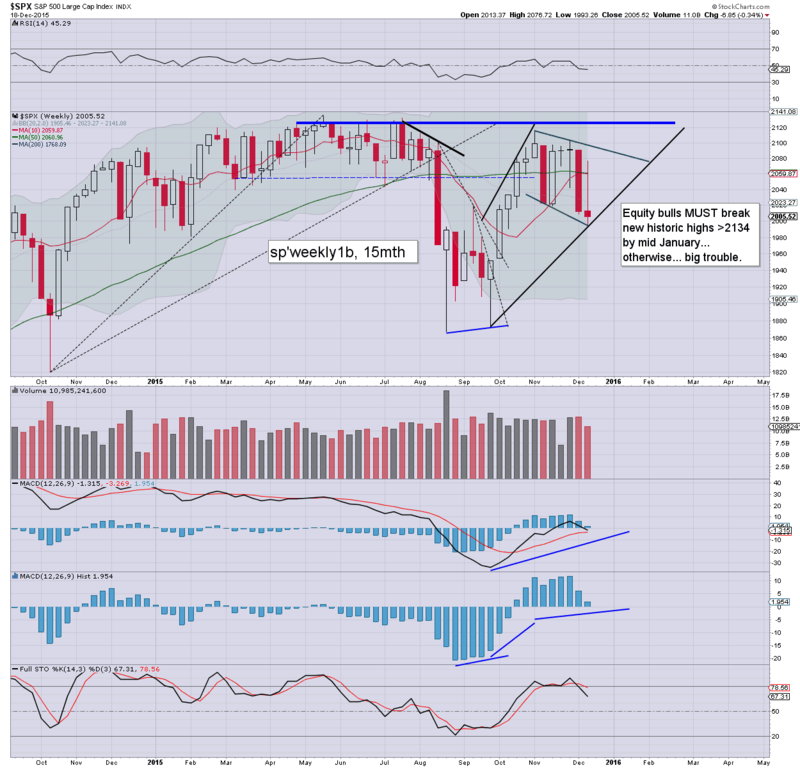 Price structure could be argued is a large bull flag, but any action <4800 would clarify a key top is already in. 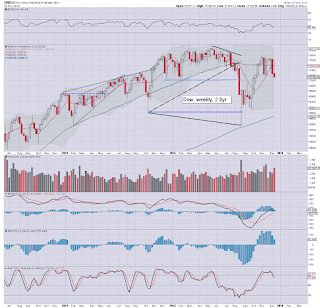 The mighty Dow saw a net weekly loss of -136.66pts (0.8%). 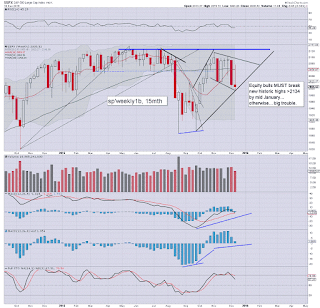 The weekly candle is offering the equity bears a clear spike-fail, and it certainly supports those seeking continued downside in the immediate term. Underlying MACD cycle continues to tick lower, and is set to turn negative at the Monday open. Any price action below 17K would bode VERY badly for the bulls, as there is clear open air of a further 1000pts to the lower bollinger.. around 16K. 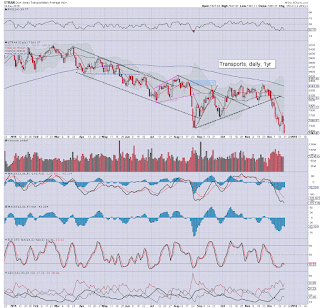 The master index is looking only marginally less horrific than the Transports, with a fractional decline of -0.1%. Price structure looks very bearish, and even those who remain inclined to the bullish side, would have to agree upside is limited to the 10600/700 zone in Jan'2016. 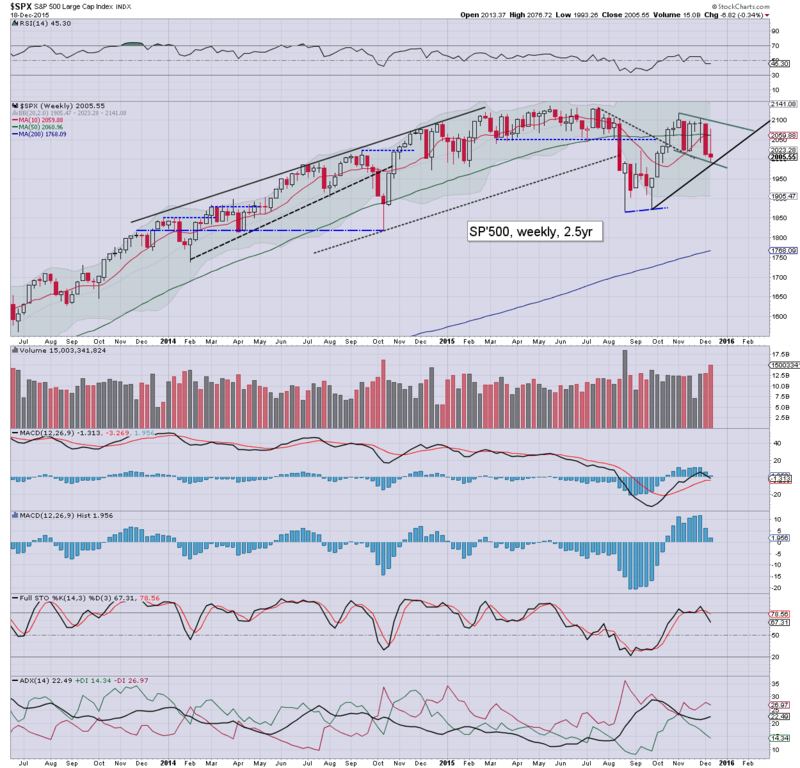 The second market leader - R2K, declined for the third consecutive week, having been unable to hold the 1150s. Rising trend from the Oct'2014 and Sept'2015 lows will be around 1090 at year end. 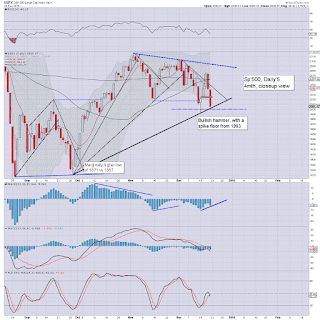 Any move to the 1080s will bode for serious problems in 2016. 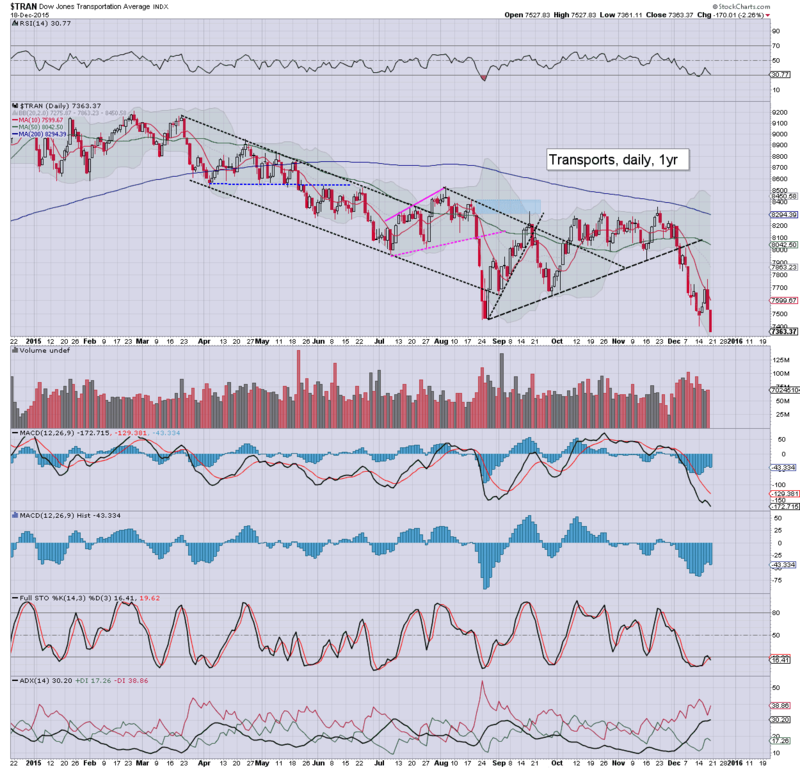 The 'old leader' - Transports, continues to lead the way lower, with the fourth consecutive net weekly decline, breaking a new multi-year low of 7361. Next key support is the psy' level of 7K, after that, there really isn't anything until the breakout zone of 6000/5500. 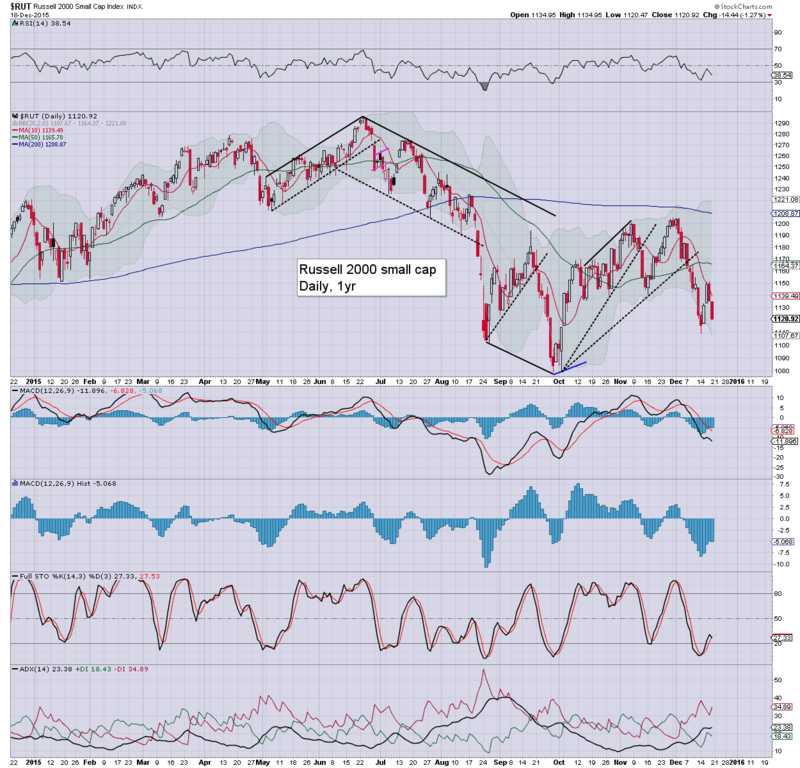 The net weekly declines were certainly nothing of significance this week, and in some ways, considering the Fed actually raised rates, perhaps the bulls should be rather content with how the market traded. Yet, seen on a multi-year perspective, the current price structure looks increasingly ugly. The market has tried repeatedly to break new highs.. and it has broadly failed. 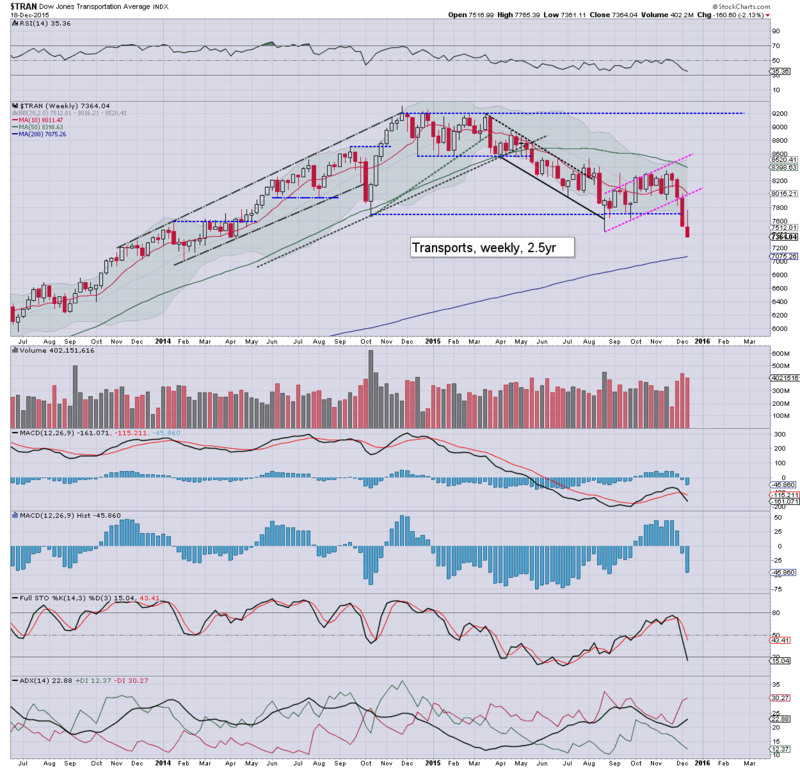 Then there are the Transports, which is a literal train wreck, seemingly headed for 7K... and eventually the 5000s. If that is the case, it is almost impossible to envision the rest of the market not following. It will be Christmas week, and trading volume will become increasingly thin, and that should (in theory) favour the equity bulls. W - Durable goods, pers' income/outlays, new home sales, consumer sent', EIA report. T - weekly jobs, EARLY CLOSE @ 1pm EST. 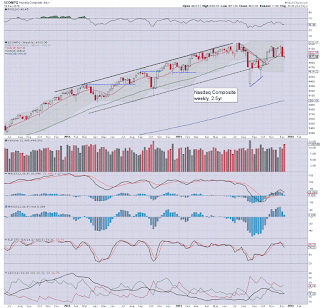 Considering the weekly close of sp'2005, at best.. perhaps a Christmas Eve close in the 2040/50s. 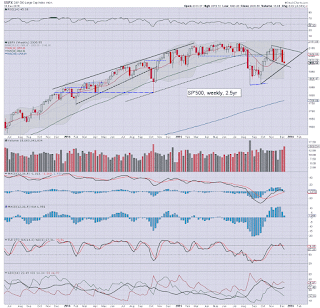 With the sp'500 seeing a net weekly decline of -6pts (0.3%) @ 2005, the current situation is getting real interesting. 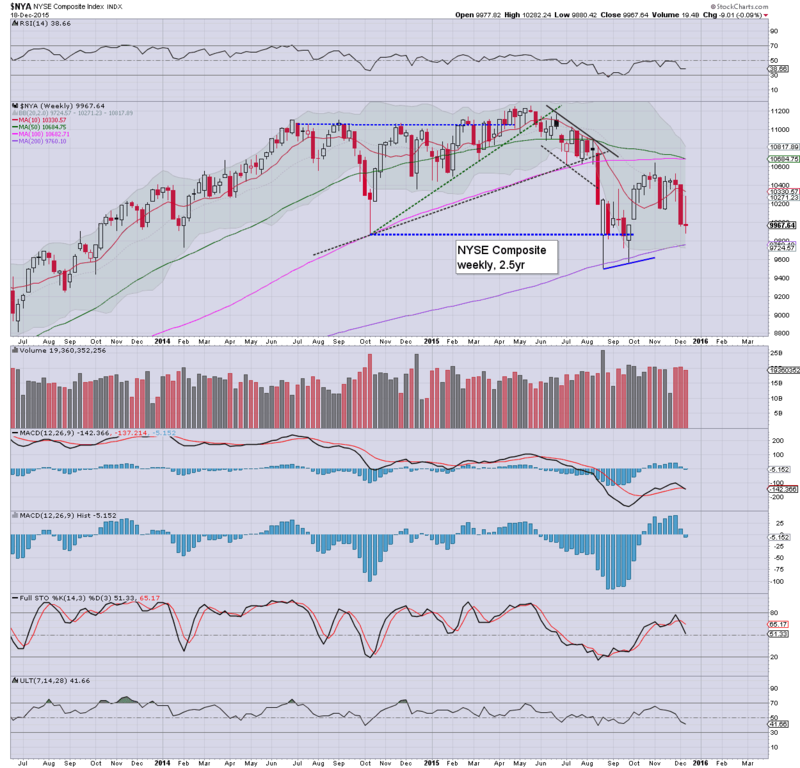 The market is seeing repeated bouts of weakness, but nothing yet sustained. 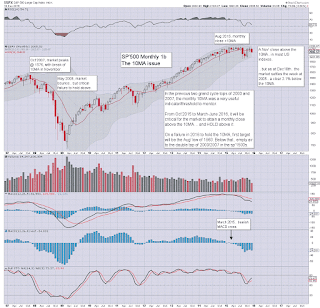 However, if the market settles the year under the monthly 10MA (currently 2048) it will arguably be a critical red flag. I have a great deal to outline on the main scenarios for 2016, but I'll leave that for another time. 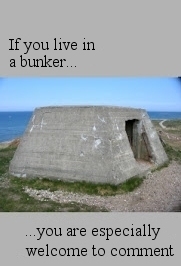 For now... I can't emphasise enough.. if the equity bulls fail to push to a new high (>sp'2134) by mid/late January 2016, we will likely be looking at a grand top having formed. 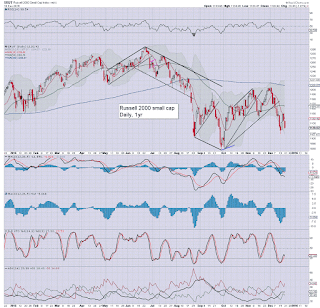 It has been a tough few years for the bears, with just a few (mostly shallow) retraces, but maybe.... just maybe... the market is indeed maxed out from the March'2009 low. 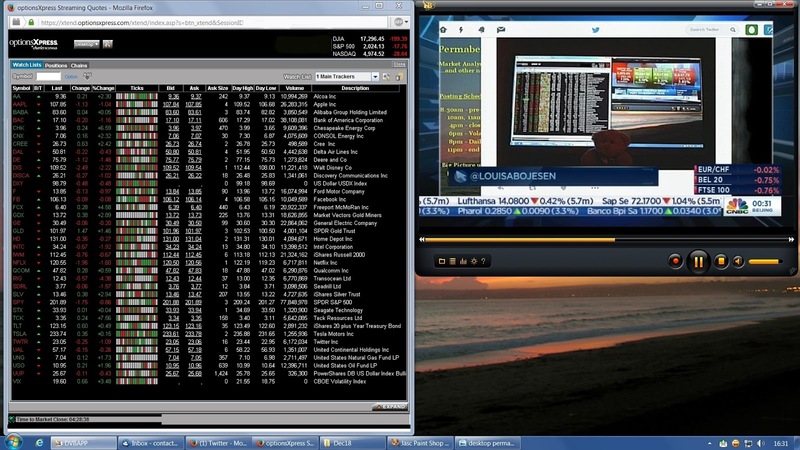 I broadly slate the mainstream financial media, but the 4pm 'closing bell' show on CNBC-Europe, was one of the rare gems. Guests were given the time to speak, and viewers usually had opportunity to ask direct and often provoking questions. Naturally, CNBC has decided to end their finest show, and instead, I'll get to see the US 'squawk' 11am hour from now on. 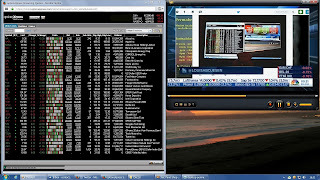 For those curious..yes, that is my standard desktop, and you can see my 'main trackers' list, with Satellite TV on the right side. I do accept though, there is a rather monstrous amount of twisted irony in yours truly getting highlighted. The week ended on a very negative note. 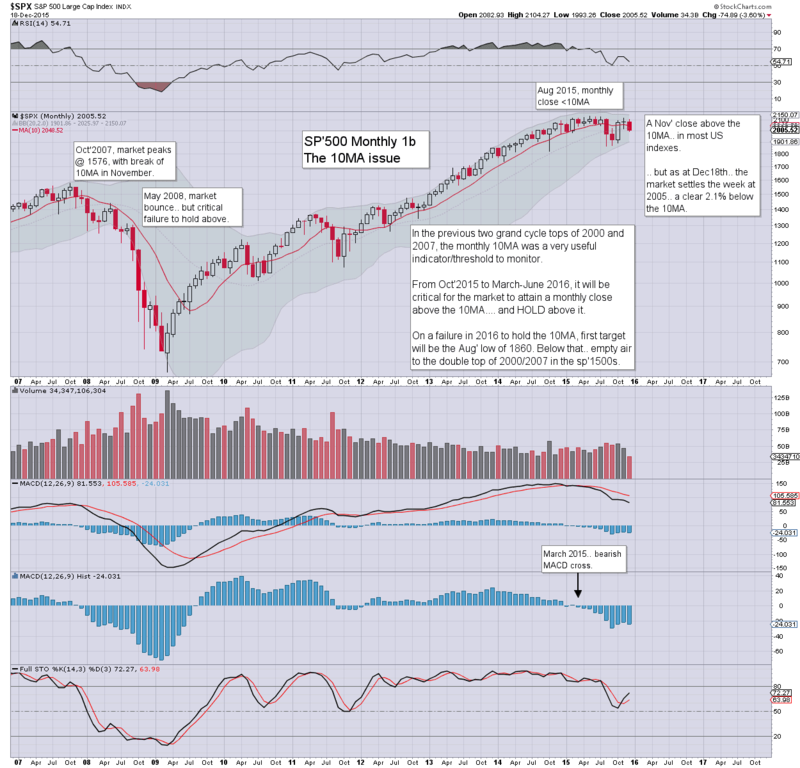 Although it was quad-opex, and that was a primary reason for the extra selling into the weekend. Not only was there significant downside follow through from Thursday, but most notable of all.. the Transports broke a new cycle low of 7361. For those that hold to the 'old leader' as a market leader.. price action sure is increasingly bearish. 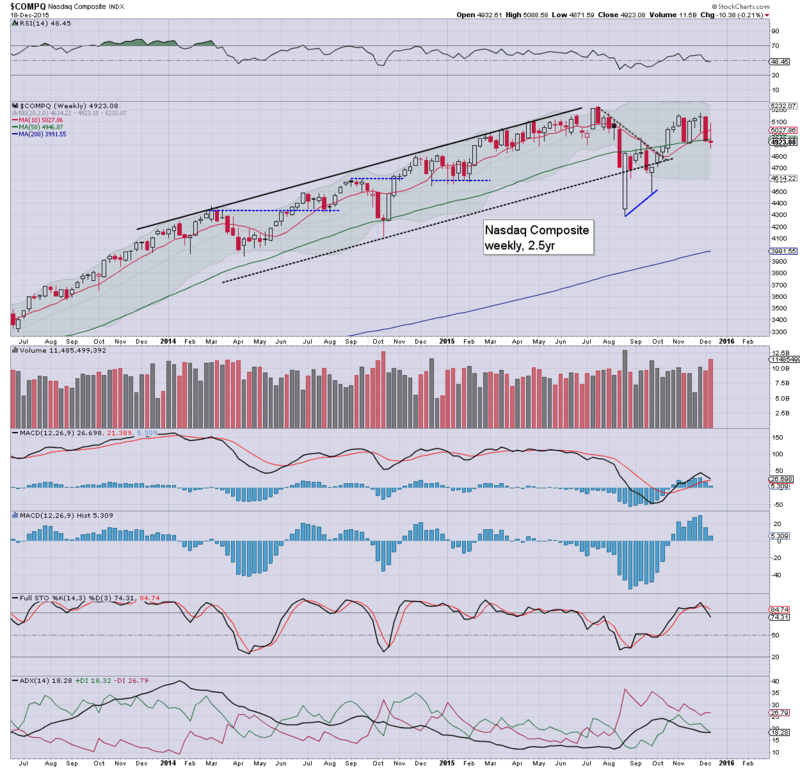 Best guess... renewed upside to the sp'2100s... but there appears increasing threat of an epic rollover in early 2016.